Run for the House is an annual fun run to support Bryan/College Station Habitat for Humanity's mission to build decent, affordable homes in partnership with low-income families in our community. Runners and walkers of all ages and fitness levels are welcome! Each participant will receive a Run for the House t-shirt and goody bag that includes a ReStore coupon. This year, Run for the House will take place at the Spirit of Texas Festival! 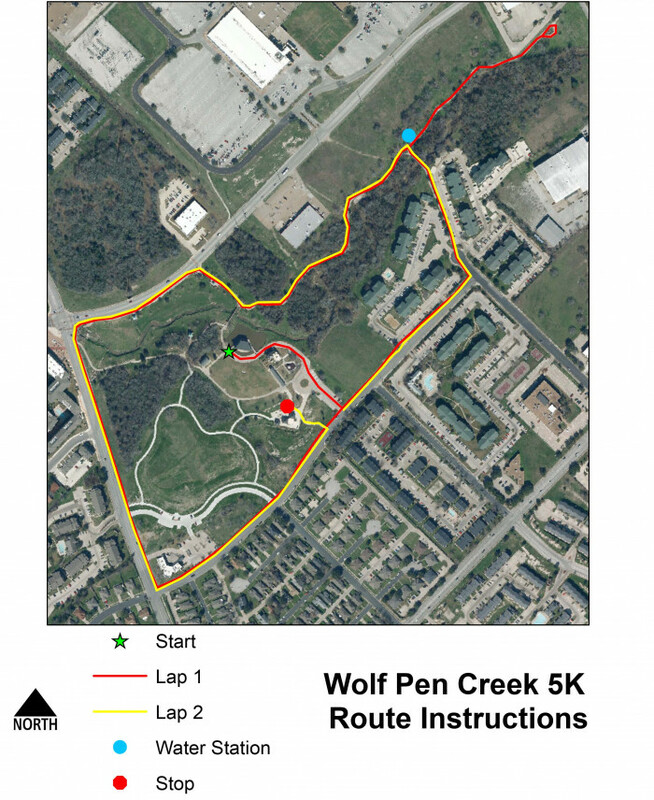 The race is a closed course and will start at the Wolf Pen Creek Ampitheater and finish at the Wolf Pen Creek playground. Because of the high number of people expected to attend the Spirit of Texas Festival, we recommend race participants park in the Post Oak Mall parking lot across the street. After the race, stay for the Spirit of Texas Festival, the free 3 day family fun fest with a World Record Ice Cream Sundae, $10,000 BBQ Cook-Off, and an $11,000 Curbside Smack Down Food Truck Contest. There will be hundreds of vendors for shopping in the Trading Village, dozens of hands on learning opportunities for children in the Idea Village and live MUSIC!! Bryan/College Station Habitat for Humanity's Faith in Action Committee is once again hosting the annual Run for the House race. The committee is a group of churches and faith organizations whose members partner with a family in need of a decent, affordable place to live and grow. Proceeds from race registrations and sponsorships provide money for construction costs, and church members build the home alongside the family. Thanks to all of those who put their faith into action by building homes, communities and hope in our community.